My predicted drop to a new low hasn’t panned out quite yet … but it will! This week’s slow-moving rally continues to illustrate the Hopium Effect in action, but is showing that it’s waning. It reminds me of Custer’s Last Stand. The Battle of the Little Bighorn in 1876 was a revolution of sorts. The Lakota and other Plains Indians (or native Americans, as we more properly refer to them now) rose up against US forces and defeated them. 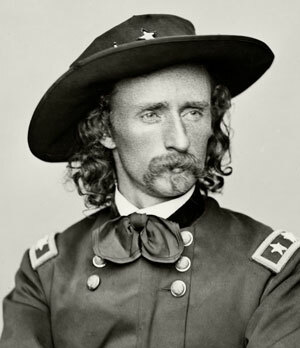 That ferocious battle has been ennobled as “Custer’s Last Stand” – but in truth, Custer and his men never stood a fighting chance. So it is with the current rally. What’s interesting is that this happened during a major depression, called the Long Depression, which had begun a few years earlier. 1876 is considered the bottom of that depression. The depression of 1873 followed a period of over-expansion and high inflation, which is typical and we see the same things happening today. The depression brought a decade or so of deflation. The Long Depression was a worldwide price and economic recession, beginning in 1873 and running either through the spring of 1879, or 1896, depending on the metrics used. … The episode was labeled the “Great Depression” at the time, and it held that designation until the Great Depression of the 1930s. The point is that revolutions and civil wars always accompany cold and dry periods (which was reflective of the climate of that era). We’re seeing the same types of unrest (in their early stages) play out on the world stage. Don’t look for a major international war (they should start to dissipate) but look for civil wars and revolutions to ensue in countries around the world over the decades to come. The American Civil War began in 1861, which was also a very cold, dry period. It lasted until 1865, when we saw a revival in rainfall internationally for the latter half of that decade. Rainfall revives the economy. It’s turning cold and dry now, but on a much larger scale, worldwide. On a smaller scale (and closer to home), we’ve seen virtually no snow at all this winter in Western Canada. Farmers will soon be raising the alarm. I wouldn’t expect the civil war that’s erupting in France to decline. In fact, I’d expect it to smoulder during the coming fifth wave up to a new high, only to erupt on a larger scale when we turn back down again later this year. Then is will spread to countries around the world. In any event, the current bullish streak we’ve seen in the past week is the “market’s last stand.” The larger direction is down and I’m expecting that to become obvious once again as early as Monday (although it may have a little more Hopium still left in its system). On another note, Zerohedge has an article on the similarities between the top of the cycle degree third wave (in John F. Kennedy’s era) and the current topping pattern. They should look much the same: They’re both major tops of major waves. Near the end of the 60’s we topped the third wave and went into a multi-year, fourth wave recession (the 1970s). Now we have the final wave top in progress. In both cases the patterns are the same — a deep fourth wave and a final fifth wave to a terminal high. On several different scales, history rhymes. Here are indices around the world that are all in the same position — much of the world is ready for a turn to the downside. All the patterns are the same — an ABC corrective rally that will fully retrace by Elliott Wave rules (in other words, it’s in three waves). Above is the 60 minute chart of the ASX 200 (Australia’s stock exchange). Above is the 30 minute chart of the DAX (Germany’s stock exchange). Above is the 60 minute chart of the FTSE 100 (The top 100 companies in the London stock exchange). Above is the 30 minute chart of the Hang Seng (Hong Kong’s stock exchange). Above is the 60 minute chart of the TSX (Toronto’s stock exchange). We wait, but it won’t by much longer. Last week, the current rally achieved a level that told me the current pattern (the way I'd labelled it) is incorrect. Elliott Wave is very good at telling you when you're wrong. In this case, the change is relatively subtle and doesn't affect the eventual outcome; rather it confirms it. The short story is that I've come to the conclusion that we've only had two patterns down from January 29, 2018: a running flat and a triple zigzag (not yet complete). Instead of having completed a regular flat in between these two patterns, I now believe we began and rare triple zigzag where I had previously labelled a flat (the patterns are exactly the same). So, if I delete the regular flat in the current chart (above) and make the entire pattern down from about 2810 a triple zigzag, it all works from an Elliott wave perspective. The top of the wave we're in has risen to the 62% retrace level of the previous zigzag from red X1 down. This wave down is also 2.618 X the length of the first zigzag (down from blue X at 2810, or so). Blue X marks the start of the triple zigzag pattern to the downside. Now, if the third zigzag down starting from where we are today ends up being 1.618 X the first zigzag (which would be a typical length of the fifth wave — in this case, you could count the three zigzags as part of a 5 wave combination), this targets a bottom in ES of 2280. However, it makes more sense to me that we would target the previous low only, which was an earlier target based upon a very reliable measurement. In that case, we may still have a continued rise of about 25 points. This is speculative on my part, as we have a series of two ending diagonals in a row that have formed at the top. In other words, we're ready to come down now. So ... we watch and wait. Part of the issue is that many indices are in the same position internationally; it's not just the US indices we're waiting for. When the market is good and ready, we're going to turn down ... and I expect it to be very soon. Summary: Look for a dramatic drop in a zigzag (5-3-5) pattern to complete a triple zigzag with a wave at least to the previous low that could start as early as Monday. We could also rise as much as another 20-25 points before we see that turn. The culmination of this drop should mark the bottom of large fourth wave in progress since January 29, 2018 - almost a full year of Hell. I would be interested in how folk who follow the lunar cycles view the current price action ahead of the full moon this week-end. I think we hit the .618 retrace . Mkt went higher then I was looking for . No losses for me today on spec short . That a bottom was formed Dec 24-26 th . Next week will prove this right or wrong . Jan 20 to feb 4 matters and cycle ends Feb 13-19 th . After that it’s a new set of parameters to deal with . For a sideways trading range for a few months . Keeping my focus in broad terms . Next week most everyone will begin flat from an option trading perspective . The lunar eclipse based on the puetz cycle calls for a down turn . Just grinds higher and higher . Then it becomes a channel . No opinion as to where this market goes next . Added longs from 45% to 75% on Dec 26 open . Long 69 individual stocks and longer then I have been in a few years . Then for me it’s about exiting or at least having an exit stradegy . But not intending to sell unless my parameters are in place . If all goes as initially planned I’m looking for a 40% gain year on year . Now the market can sell off since I’m talking confidantly. I’m not confidant of new all time highs . Is this a B wave ? Next week will be important . I’ll be quiet for a bit and that’s because I’m not sure what comes next . Monday is my intent . I have no downside projections though so it’s just hedging . I’m finished for a bit . I did not see too many counts that expected this much of a move higher, and it really illustrates how immune to scrutiny this market has been of late. I don’t recall ever seeing so many bearish signals being violently negated. The reasons are abundantly clear though. Just a reminder that the chart I posted last night is a CLOSING price chart of SPX. Intra-day prices are unimportant. The ideal close for a potential high today would be between around 2651-2656. It should be interesting… Two closes above both my lines would probably be bullish. I agree with you on closing prices . I have focused on the close for about 16 years or so . Today though being option expiry it’s a tough call for me . Was this actual buying or just short covering ? I can’t answer that . Still leaves the door open for a drop next week . And hoping for a decline to buy . Back to the . 382 retrace level ( from all time high to the Dec low ) is not out of the cards . The .382 retrace on the cash Dow sits at the 23713 level and the .236 sits at the 22949 level . Matching those up with a .382 or .618 retrace of this entire rally places 24952 as the next overhead resistance . Drawing a trendline off the Oct 3 high and the Nov 8 high crosses through that same level on Monday . Bottom line : we may have topped today yet Monday looks to be the reversal day . Keep an eye on that 24950-24952 range . At this juncture . It can after a pullback but right now I’m doubting it . Taking another stab on the short side on Monday and will become more persistant . I think this rally phase has run its course . As noted earlier I’m not sure what comes next so take this all as a grain of salt . 23714-22950 support and 24950-24952 ( 24971 extreme ) resistance . At a minimum that is a 1000 point drop . Mkt closed Monday for MLK ? Also brexit , may response day ? To the last leg to new all time highs ? My focus being daily and weekly charts . I am keeping an open mind. As you know, my own opinion is that CBs can and do affect how waves unfold. The ramp of the last few weeks are co-incident with an explosion of CB balance sheets with China being the most aggressive. The co-ordination is evident as global markets rose in unison. All the best EW counts I have seen has us in a “B” or second wave at varying degrees. Technically, second waves can fully retrace first waves so for those analysts who argue a top is in, it would be a long time before they were proven wrong or right, clearly a useless debate for traders. Having said that, if we fail to see a turn next week, I would have to concede my thinking that the current move up was corrective could have been in error. I have no problem with being wrong. I have seen banksters negate bearish market signals so often over the years it no longer surprises. Take a look at recent price action and count the number of gaps down filled, and shooting stars negated. It is really hard to miss, and suggests to me that inherent market weakness is being masked by massive CB intervention. Just one man’s humble opinion. Wave 2 cannot retrace the top of wave 1 . I heard rumors of an ewi wave count which makes no sense . I agree next week is important . Until I dig into the wave relationships . To take a speculative short to hedge longs . Odds are tipping the bottom is in but odds are speculative as well . Jan 2018 everyone was bullish and Jan 2018 started out as a great month . By year end everyone claimed 2018 a bad year . The old adages have not been so great . Years ending in 5 are awesome yet 2015 was not so great . Years ending in 9 are awesome . I’ll point to 1929 which was a down year . I’m not sold on adages and I’m just sticking to my work . A head and shoulders top should have a downward slant . Look at the daily or weekly charts . Breaking the December lows would be breaking the neckline . I’m not bullish or bearish even if long stocks . Being realistic . Not got oversold an ran higher . Bankers the Fed foreigners etc… Are all welcome to buy or sell . To me it’s all cyclical and the wave count will tell the story . And wave 3 or C is next . I’ll stick to wave counting and cycles . Joe, I believe the EWT rule is that a second wave may not retrace MORE than 100% of a first wave. This implies that a 100% retrace is possible. I think what is going on in the markets right now is absolutely fascinating. As you all know my own thesis is quite simple. When the balance sheets of CBs are expanding, markets go up, and obviously, the inverse is true. Oh,mI fully understand that many EW purists disagree and that is entirely fine by me. We are not robots and can all think indepedently I woul hope! The current situation is particularly interesting as there are a host of reasons why any market observer should be bearish and here are a few. 3. Bearish A/D advance line divergence. 8. Approach toward 200 day MA from below. Whatever your analytical methodolgy, there is something in that list for everyone. Now here is the thing. If my thesis that the primary force driving market price is central bank actvity, then NONE of the above listed metrics matter. We would expect to see the market ignore them and continue to power higher. On numerous occasions the last ten years I could have presented that EXACT same list and posed the same query. Guess what the market did? Now do you get why I maintain that you MUST contend with the role of central banks in trying to make sense of market price action? Don’t get be wrong. Those beatish signs are real. I would expect the 200 day MA to prove resistance. No arguement from me . To me we are very near if not at the peak of this leg up. The next week and into Feb 4 concern me . Yet I’m not convinced we make new lows below the Dec lows . The 50 and 200 dma . Obviously a different asset class and one that is UN loved . One important thing any good theory should do is make accurate predictions. Let us assume, for the sake of argument, that I am wrong and we do take out the Dec 26 lows, we would still have the January effect to contend with. If the market does go on to news driven primarily by desperate CB infusion, I would expect the final wave up to be historic, traversing the path to new highs in record time. January effect notwithstanding, it is hard to imagine this scene playing out over the entire year. Could we see new market ATH with an intact bearish MA cross??!! 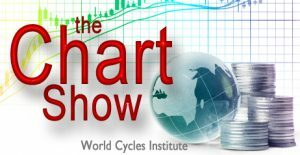 I agree with the cycle gurus that even the banksters will ultimately fail, but from what I can see, right now they are doing just fine!